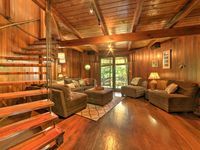 Property 6: Aloha Falls Waterfall Sanctuary ~ Perfect Location on Big Island!! Property 10: Hilo"s Hale Hibiscus in Downtown Hilo. Newly opened !!! 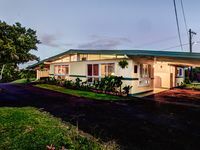 Property 15: Secluded Keaau House w/Hot Tub & Wraparound Porch! Property 23: Absolute Oceanfront! What a View! Like No Other! Read our Reviews! Property 26: Sweeping Ocean View! Newly built home! Property 47: House of Paddles - Large Private Home with Pool.